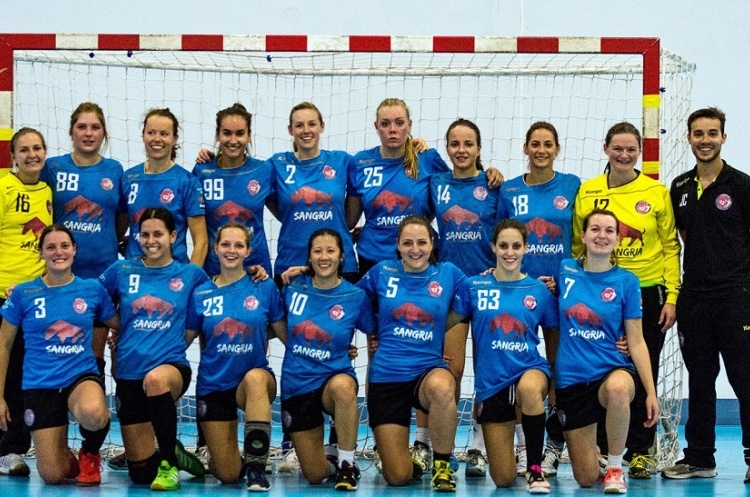 London GD and NEM Hawks meet in a top-of-the-table clash in the Womens’ Premier Handball League this weekend. West London Eagles host Cambridge, London Angels travel north to play Peninsula, and Coventry Sharks face Olympia. GD are enjoying a great season and have won all six of their matches. Hawks moved into second spot with victory over Coventry Sharks last time out and will know victory will take them top. Throw-off at Powerleague Trafford is at 12.30 on Sunday and is followed by the Mens’ Premier Handball League clash between Hawks and GD at 14.30. Third-place West London Eagles, who have a game in hand on Hawks, host Cambridge. Eagles are in great form. They have won their last four matches and lost just once this season. It is a different story for Cambridge in sixth, who have lost their last three games and won just once this term. Throw-off at Barking Sporthouse on Saturday is at 15.00 and is preceded by the Mens’ Premier Handball League match between Eagles and Cambridge in a great double bill. Peninsula and London Angels face each other in a bottom-of-the-table game at Powerleague Trafford on Saturday. Promoted Peninsula are still looking for their first win of the campaign, whilst Angels in seventh have just one victory to their name. A win for Peninsula would take them off the bottom of the table, while victory for Angels could lift them to sixth if Cambridge lose against Eagles. Throw-off is at 13.30. Coventry Sharks host Olympia at Coventry Sport and Leisure Centre. Fifth-place Coventry have lost their last two games and will be vying for victory against Olympia who sit one place and two points ahead of them. Olympia will be bidding to extend their winning run to three matches. Throw-off on Saturday is at 14.30.